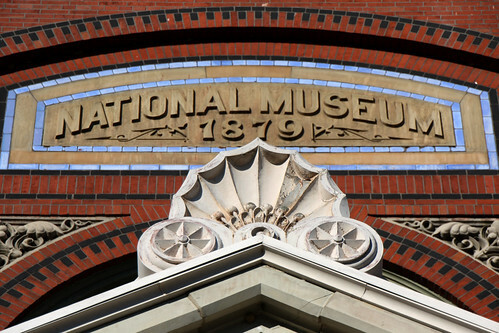 Yesterday was the Smithsonian Institution’s 165th birthday, having been finally founded on August 10th, 1846, over a decade after Congress agreed to accept the bequest. The original gift of approximately $500,000 was incredibly controversial when it had been initially granted, and the decade of time necessary to establish the Institution. While the Institution today operates 20 different museums, galleries and the Zoo, and is building its 21st, the building now known as the Castle was its only home until 1881, when the Arts and Industries building opened. 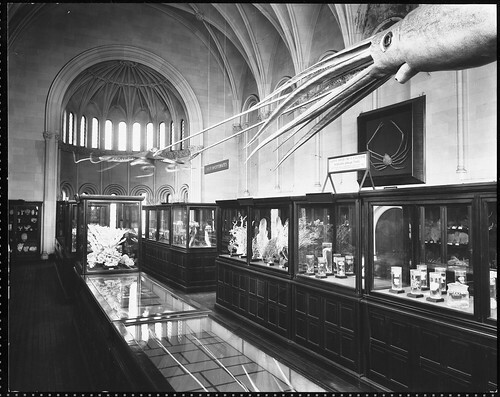 The Cluss and Schulze-designed museum opened then with the collection that would later make its way to the north side of the Mall in the Museum of Natural History. The Smithsonian would open the Zoo in 1889, the new Museum of Natural History in 1910, and the Freer Gallery in 1923, to expand their empire to four cultural attractions in DC, in addition to the Cooper-Hewitt in New York. That slow pace of expansion would be rapidly altered with the selection of Sidney Dillon Ripley as Secretary of the Smithsonian in 1964. Ripley, an ornithologist and famed spy, has a biography that reads like an Ian Fleming novel, including trips behind enemy lines in Nepal and Thailand to go birding as well as spying. During his twenty year tenure as Secretary, the Smithsonian opened up the Air & Space Museum, the Hirshhorn Gallery, the Museum of African Art, the National Portrait Gallery, the Renwick Gallery, the American Art Museum, and the Anacostia Community Museum. During that time, the Smithsonian went from 10.8 million visitors per year to 30 million visitors per year, and became the destination phenomenon that we all know and love. Congratulations, Smithsonian, on 165 years of increasing the diffusion of knowledge among men, as per the original 1829 mandate of James Smithson, who laid the foundation for the home of America’s best treasures and artifacts. Here’s to many more to come.